Cuisinart 2-Speed Hand Blender Just $38.95! Down From $110! PLUS FREE Shipping! 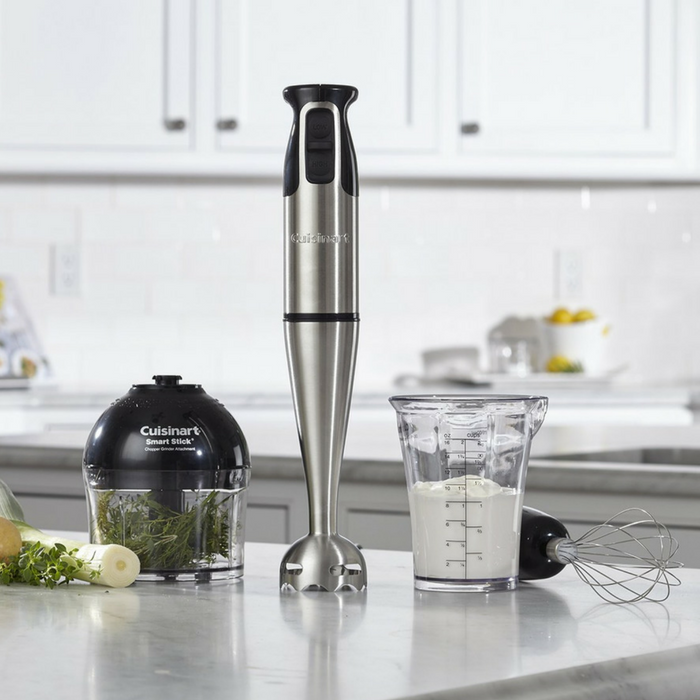 You are here: Home / Great Deals / Amazon Deals / Cuisinart 2-Speed Hand Blender Just $38.95! Down From $110! PLUS FREE Shipping! For Prime Members only! Amazon has this Cuisinart 2-Speed Hand Blender for just $38.95 down from $110 PLUS FREE shipping! This Cuisinart Smart Stick Hand Blender is designed to handle a variety of basic tasks, such as blending, mixing, chopping, grinding, whipping, pureeing to give you time for more creative culinary undertakings. The 2-speed control – plus chopper/grinder and chef’s whisk attachments – let this hand blender perform the tasks of 3 food prep appliances. One-touch operation and the ability to blend right in a pot, pitcher or bowl make it an all-time favorite of home cooks. Cuisinart makes it quick, clean and easy to blend, prep and whip a variety of ingredients.